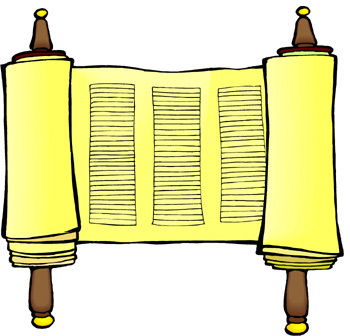 This Shabbat, the Torah portion that is read is from the end of the book of Exodus. We read this portion to correspond with the holiday of Sukkot instead of the next portion chronologically in the Torah, V’Zot Ha’Brachah which is read on Simchat Torah. I would like to share my thoughts on this final Torah portion. Torah tzivah lanu moshe, morashah kehilat yaakov. The Torah was commanded to us by Moses, it is an inheritance of the community of Jacob. This verse can be separated into two parts. First, we have where the Torah came from. The Torah was commanded to us by Moses, and ultimately by God. Second, we have the statement of what the Torah is to us. We have the past and the future. Where the Torah came from and where it is going. The Torah is from Moses, yet it is the spiritual property belonging to all of Israel, the community of Jacob. When we gather together as community praying, celebrating at Beth Mordecai, we are taking hold of our spiritual property, our Jewish heritage and celebrating it. We are actively doing the work of “the inheritance of the community of Jacob.” We are bringing the treasured possession of our Jewish practice to life. Join us Monday night at 6:30 PM to celebrate Simchat Torah together. We will dance, sing and laugh as one community of Jacob. Shabbat Shalom & Moadim L’Simcha!